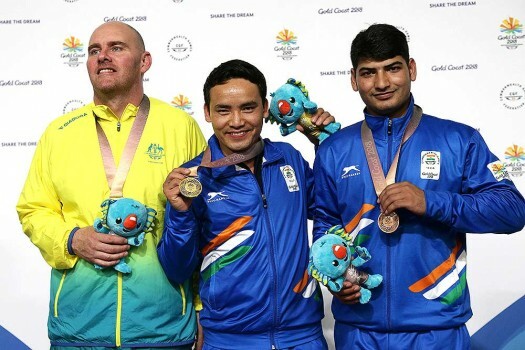 Jitu Rai of India poses with his gold medal in the men's 10m Air Pistol final at the Belmont Shooting Centre during the 2018 Commonwealth Games in Brisbane, Australia. 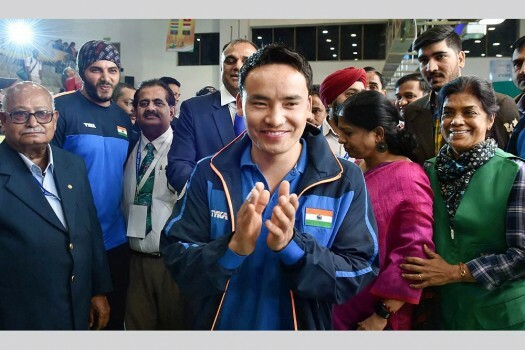 India's Jitu Rai celebrates after winning gold in the men's 50m pistol event at the ISSF World Cup, in New Delhi. 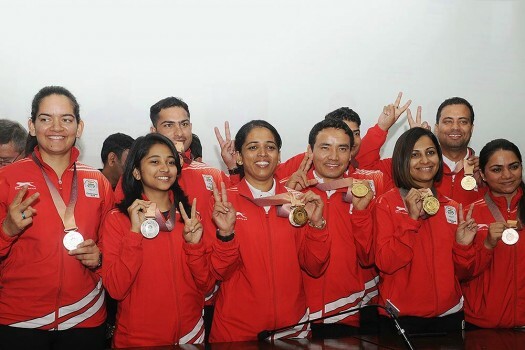 World Championship silver medallist Rai shot 235.1 to comfortably finish top of the podium. The duo shot 483.4 in the final to finish top of the podium at the Dr Karni Singh Shooting Ranges.